PennsylvAsia: "K-pop: The Rise of the Machine" lecture and noraebang, March 31 at Pitt. 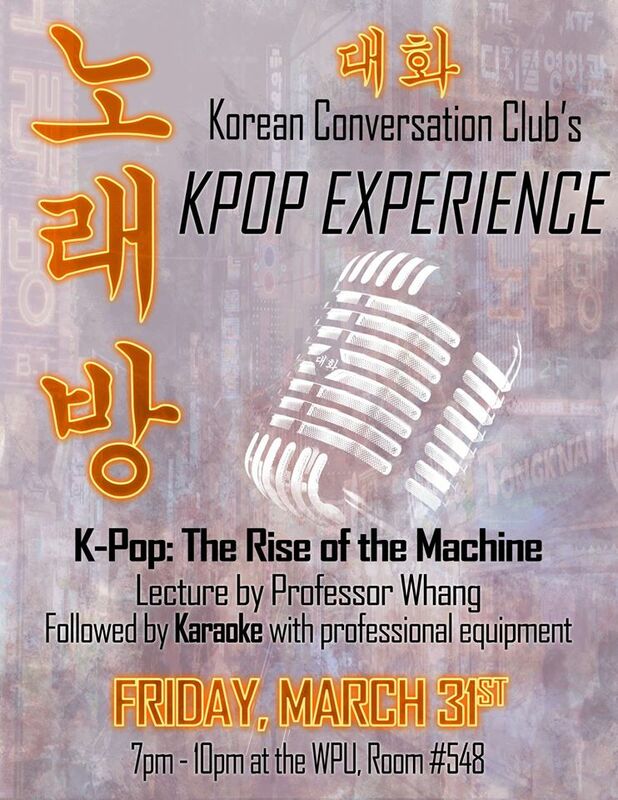 "K-pop: The Rise of the Machine" lecture and noraebang, March 31 at Pitt. The University of Pittsburgh's Daehwa: Korean Conversation Club will host Dr. Yun-oh Whang and the lecture "K-pop: The Rise of the Machine" on March 31. The event will include a noraebang ("singing room") experience. It runs from 7:00 pm to 10:00 pm in room 548 of the William Pitt Union (map).